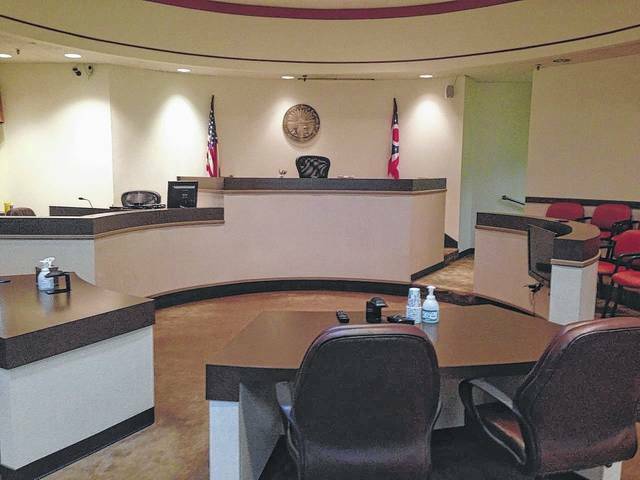 The Gallia Court of Common Pleas started its drug court in June 2017. The court would make use of a drug called Vivitrol aimed at blocking opiate receptors as a treatment technique for opiate addicts. GALLIPOLIS — The Gallia Sheriff’s Office, the Gallia Prosecutor’s Office and Gallia Common Pleas Court compiled information to reflect on the current state of Gallia’s fight against crime and its comparison to previous years. According to a report created by the Gallia Sheriff and Prosecutor, search warrants filed in 2015 numbered at 69. Warrants filed in 2016 numbered at 109 and 160 in 2017. Property crimes investigated totaled 691 in 2015, 765 in 2016 and 514 in 2017. Crimes of violence investigated numbered at 370 in 2015, 381 in 2016 and 203 in 2017. Sexual-related offenses investigated included 29 in 2015, 41 in 2016 and 13 in 2017. Drug offenses investigated in 2015 numbered at 40, 35 in 2016 and 27 in 2017. Arson cases investigated all three years numbered at two each. Crimes resulting in death investigated were two in both 2015 and 2016 and five in 2017. Gallia Grand Jury indictments returned in 2015 numbered at 198, 233 in 2016 and 312 in 2017. Prison commitments in 2015 numbered at two first-degree felony sentencings, nine second-degree, 23 third-degree, 13 fourth-degree and 27 fifth-degree. In 2016, first-degree felony sentencings numbered at five, seven second-degree, 18 third-degree, 23 fourth-degree and 26 fifth-degree. In 2017, 10 first-degree felony sentencings were returned, 12 second-degree, 35 third-degree, 17 fourth-degree and 17 fifth-degree. The drug court currently supervises 16 offenders. Commentary from county officials regarding the numbers presented will be included in an upcoming edition of the Gallipolis Daily Tribune.